Biography: Boris Novikov graduated from the Leningrad University in 1972 as a Dipl. Math. (dept. of algebra and number theory), received a PhD in Comp.Sci. from the same university in 1981, and Dr. Sci. degree in 1994. He joined the university's Operations Research lab. in 1972 and he is currently a professor at the department of computer science, St.-Petersburg university, Russia (actually the same university). He also leads the Operations Research laboratory and information management research group, and occasionally works as a database expert for the industry. An author of 2 books and approximately 100 research papers published in journals and conference proceedings. 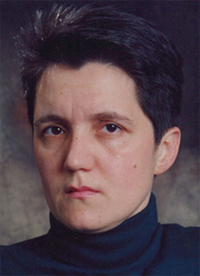 B. Novikov is a winner of HP Open Innovation Award in 2008. 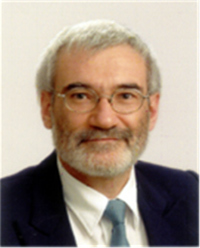 Research Interests:	in the wide area of information management and include design and use of database systems, transaction management, low-level implementation issues, such as indexing, clustering, and data structures, query processing and optimization, semantic caching, performance tuning, and management of distributed heterogeneous information resources. He also worked in the areas of software engineering, application design, and transaction management in distributed mobile systems. Biography: Since 2002 holds position of full professor at Faculty of Sciences, University of Novi Sad, Serbia. She is head of Chair of Computer Science and University Council for informatics. Author or co-author is, of 13 textbooks and of more than 230 research papers, most of which are published in international journals and international conferences. She is/was a member of Program Committees of more than 80 international Conferences and is Editor-in-Chief of Computer Science and Information Systems Journal. Research Interests:	agent technologies, e-learning and web-based learning, software engineering education, intelligent techniques (CBR, data and web mining). Biography: Kamen Kanev received the M.Sc. degree in mathematics and the Ph.D. degree in computer science in 1984 and 1989, respectively. He is a Professor with the Research Institute of Electronics, the Graduate School of Informatics, and the Graduate School of Science and Technology, Shizuoka University, Japan, where he heads the Vision Information Processing Laboratory (VIPL) and teaches and supervises students majoring in computer and information science. Dr.Kanev is also Adjunct Professor and Associate Graduate Faculty member in the Faculty of Business and Information Technology at the University of Ontario Institute of Technology (UOIT), Canada and a member of the UNESCO Interfaculty Chair on Information and Communication Technologies in Library Studies, Education and Cultural Heritage at SULSIT, Bulgaria. He has authored and coauthored more than 100 scientific journal and conference papers, book chapters, and patents. 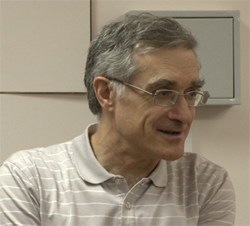 Dr. Kanev is a senior member of the Association of Computing Machinery (ACM), a member of the IEEE Computer Society and affiliate member of IEEE, a member of the John Atanasoff Society of Automatics and Informatics, and others. Research Interests:	multimodal user interfaces and surface based interactions, virtual and augmented reality, vision information processing and interactive computer graphics. Abstract: The term "Big Data" became a buzzword and is widely used in both research and industrial worlds. Typically the concept of big data assumes a variety of different sources of information and velocity of complex analytical processing, rather than just a huge and growing volume of data. All variety, velocity, and volume create new research challenges, as nearly all techniques and tools commonly used in data processing have to be re-considered. Variety and uncertainty of big data require a mixture of exact and similarity search and grouping of complex objects based on different attributes. High-level declarative query languages are important in this context due to expressiveness and potential for optimization. In this talk we are mostly interested in an algebraic layer for complex query processing which resides between user interface (most likely, graphical) and execution engine in layered system architecture. We analyze the applicability of existing models and query languages. We describe a systematic approach to similarity handling of complex objects, simultaneous application of different similarity measures and querying paradigms, complex searching and querying, combined semi-structured and unstructured search. We introduce the adaptive abstract operations based on concept of fuzzy set which are needed to support uniform handling of different kinds of similarity processing. To ensure an efficient implementation, approximate algorithms with controlled quality are required to enable quality versus performance trade-off for timeliness of similarity processing. Uniform and adaptive operations enable high-level declarative definition of complex queries and provide options for optimization. We conclude with open problems in connection with these issues. Abstract: More then two decades software agent technology represents one of rapidly developing areas of research. The main achievement of this trend of research was the development of new programming models that address both the basic features of agenthood (autonomy, reactivity, proactivity and social abilities) as well as more advanced, human-like features usually collectively coined in the agent literature as “mental attitudes” (beliefs, desires, intentions, commitments). Agent oriented technologies, engineering of agent systems, agent languages, development tools, and methodologies are an active and emergent research area. There are many approaches, theories, languages, toolkits, and platforms of different quality and maturity which could be applied in different domains to achieve higher quality systems. -	Quick overview of the agent programming languages, tools and platforms. -	Development and usage of multi-agent systems. -	Possible applications of intelligent software agents. -	Mobile agents and their role in Service-Oriented-Architecture and Smart Environments. -	Influence of “Human like” and Pedagogical agents in developing modern educational systems. Abstract: Nowadays, we customary carry on us gadgets that would easily outperform any large computer of the not so distant past. Yes, we used to do calculations and information processing (IP) at specialized computing facilities where we had to adjust to computer environments not meant for humans. But not anymore- now computing and IP gadgets are on us, and always with us, so we are getting gadgets adjust to our human environment. This talk addresses certain Human-Computer Interaction (HCI) issues in the context of mobile and wearable computing focusing mainly on tangible and augmented interactions. Computer interfaces evolved from a mere typewriter console, through specialized keyboards and text displays, mice and graphical displays, to multifunctional touch screens and cameras with embedded accelerometers, GPS, and many other functionalities. But is the world around us also becoming a genuine part of such computer interfaces? We do interact with the world around us- we look at, touch, move, and show physical objects surrounding us, so can we control our gadgets and interact with them in a similar way? In other words, how could, physical objects surrounding us, be directly employed as tangible interface components in HCI? The method presented in this talk is based on digital object enhancements through durable surface and undersurface encoding by printing and laser marking. While such augmented physical objects preserve their usual functionality, they become easily recognizable and tractable by optical means.